I was amazed when I randomly changed my lock one day and got an immediate phone call from the representative at Armor storage that they had noticed a lock had changed and wanted verification that I had done it! SMAE DAY! Amazing customer support! I have stored my business materials here for 7 years and have not had any trouble with theft or damage. They are friendly when I call or drop in the office. The location and hours are very convenient for my needs. I would recommend Armor Storage. I am a tenant at the Papillion location but I come to the La Vista office to make monthly payments. Michael has always gone above and beyond to help me out. The office and the property is always kept clean and he is very friendly. I would definitely recommend this location to friends and family! 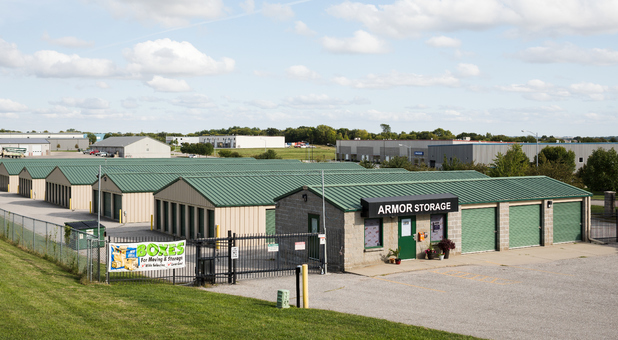 I would like to let you know that we have been very happy doing business at the Armor Storage at 10724 Chandler Rd., LaVista, NE. Ever since Mike has been managing this facility it's been great doing business there. He is very helpful, is always professional, he always has the facility in excellent condition. He takes pride in his work and it shows with how well he takes care of this location. It's hard to find employees who care and take pride in the place they are working like Mike does.